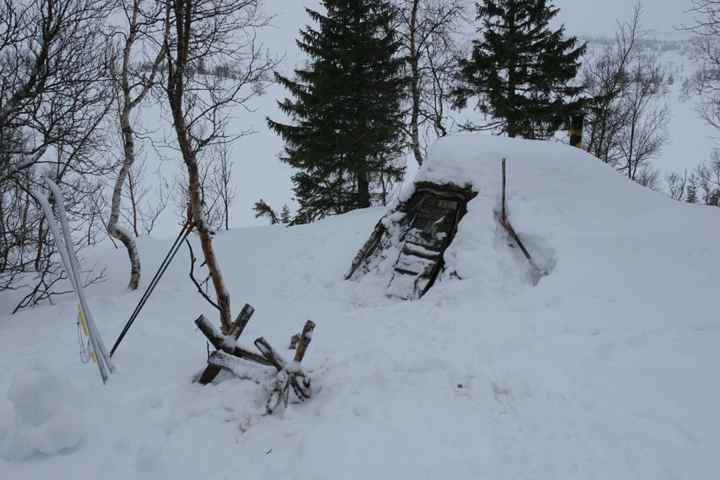 Mortenskåten can be quite difficult to find in periods with a lot of snow! You should really be able to read your map! There are reflexes from the last huts to the cabin which should help a bit. Take your headlight with you! 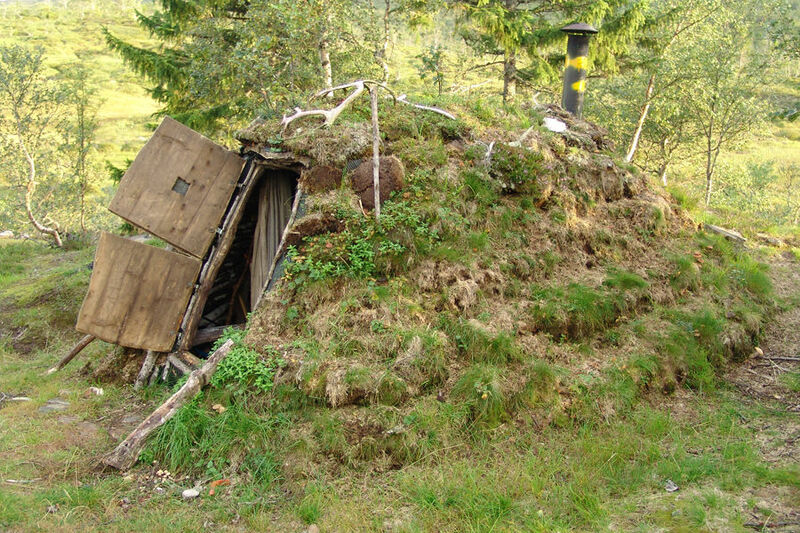 This cabin is quite small and simple: no windows, soil on the ground, two pallets and oven. The palace was built in 1961, then with open fireplace which was famous in the beginnings of Morten. So this fireplace was kept when Morten was reconstructed in 1974. 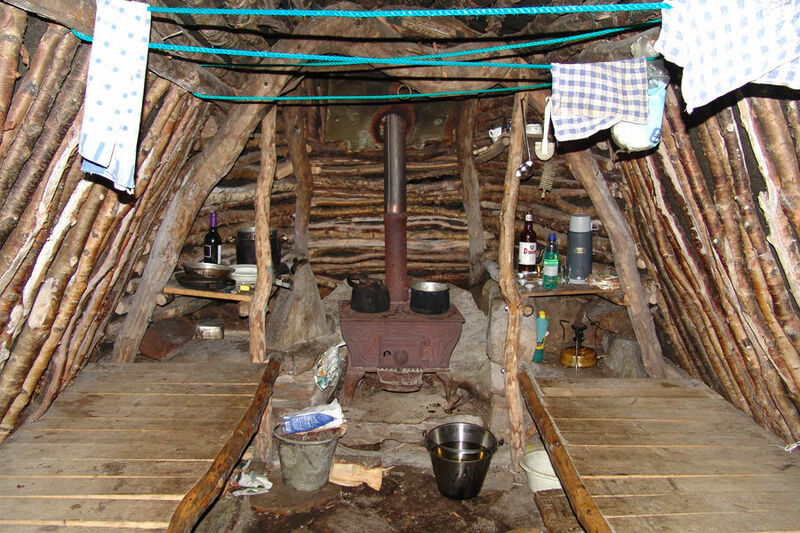 But in 1986 an oven was installed over the fireplace to give the cabin some future. Before the cabin hadn't seen many visitors and it was quite rotten. In 1991 the cabin got once more new stocks, also a basement for the beer was built in. There is a small lake close to the cabin which qualifies it as sauna in summer and winter. There are no mattresses at the cabin - bring your own sleeping pad! You can fish in Mortentjerna and try to get your dinner from there. The train to Røros stops at Langlete. The bus stops wherever you want. It's best to leave the bus directly behind Reitsøa where the road to Almås leaves. From here a pay road goes via Kvernberget and then in north-east direction to Mortenskåten. The road ends 2km away from the cabin, so for people with car it's quite easy to reach it in summer. 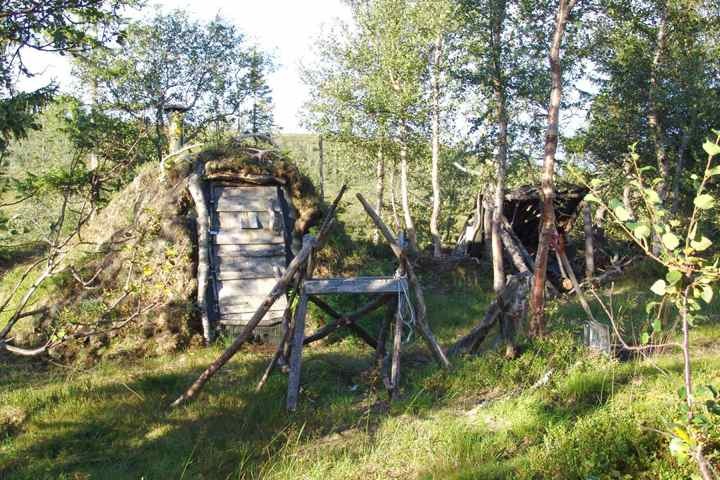 A new hut and some new meters with road are built on the last part to Mortenskåten. Park your car next to the barrier in front of the last hut. From here you just have to pass the insection south of the 693 and go to the lake. You will find reflexes on the way from the parking lot to the cabin. Nicer but also steeper is the trip from Langlete. In summer you can follow the path which goes steep up from the station. In winter it's better to take the path from Nygård. If the weather is good you can go up Mortenfjellet on the way to the cabin. Mortenskåten gives a connection between Lynhøgen, Kråklikåten, Nicokoia and Kvernmovollen - all those you can reach on one day. You cannot exactly say that the cabin is good to see. Try to find the right position according to the lake and look after a small hill with pipe. Summer time: Park next to the road barrier close to the last cabin. Winter time: Parking at Almås.